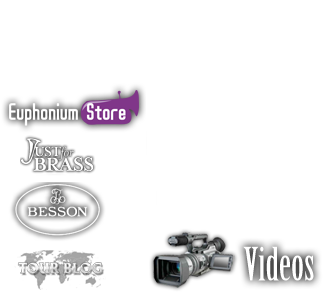 Here is a press release from www.besson.com website: Besson are delighted to welcome the highly talented young euphonium star Matthew White as a Besson artist. He is enjoying performing on his new Besson Prestige euphonium that he selected recently at the Buffet Crampon headquarters in Mantes la Ville,France. 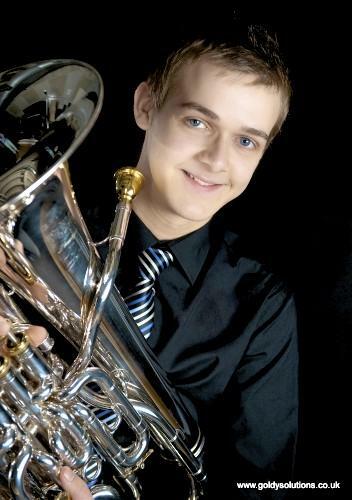 Matthew White is a rising star in the euphonium world, already having made a name for himself with high profile concert appearances and national competition success. He was the BBC Radio 2 Young Brass Soloist of the Year in 2010 as well as the Black Dyke Young Artist of the Year. He is currently studying at the prestigious Royal Northern College of Music under Steven Mead. He attended the Chethams School of Music from the age of 10 and also was a member of the National Youth Brass Band of Great Britain, serving as Principal Euphonium for three years, winning the Harry Mortimer and Katie Ogden Solo Awards. He has performed as a soloist at several of the country's leading concert venues including the Bridgewater Hall, Manchester and last September appeared as guest soloist with the Black Dyke Band at Symphony Hall, Birmingham at the Gala Concert of the British Open Brass Band Championships. He also performed live at one of the BBC's Friday Night is Music Night broadcasts accompanied by the BBC Concert Orchestra. Since November 2010, Matthew has been Principal Euphonium of the Fairey (Geneva) Band, with whom he won the prestigious Solo Award at the Brass In Concert Championships, held at the Sage, Gateshead. Matthew says, "I'm so happy with the sound of the instrument and its immediacy of sound and it's perfect for both band and solo work. I find I can get colours in my sound that I didn't imagine before and the tone is remarkably consistent throughout the whole range. It is such a well-made instrument with the best valves and finish I've ever experienced."